Freezing water was a cool gameplay mechanic in The Forgotten Sands. 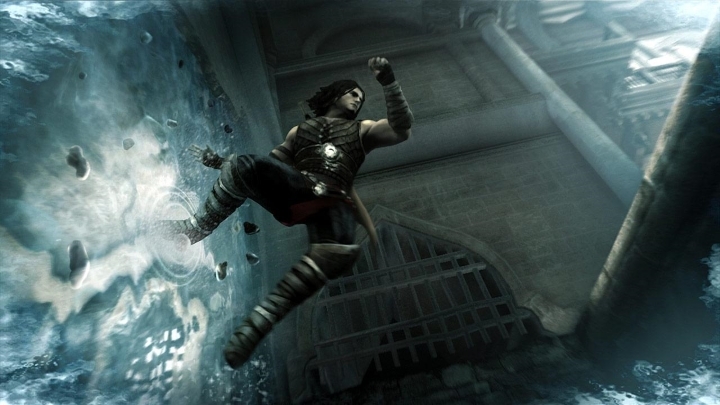 Prince of Persia: The Forgotten Sands was released back in 2010, together with the Prince of Persia movie. This game was not based on Jerry Bruckheimer’s film though, even if both drew inspiration from the great Prince of Persia: The Sands of Time game which came out in 2003. Like the movie, though, The Forgotten Sands is something of a mixed bag. The combat was not a highlight in this instalment, as dealing with dozens of sand creatures at once wasn’t that much fun and got dull after a while. But thankfully the parkour was still great, and running along walls while avoiding spinning razor blades and performing acrobatic jumps was a joyful experience. Also the prince’s new magical ability, which let him freeze water and then climb on it was an interesting gameplay idea. This also featured a pretty good story taking place between Prince of Persia: The Sands of Time and the later Warrior Within. But overall, this is a game that failed to capture the magic of 2003’s great Prince of Persia: The Sands of Time.